ALBANY – Bessie Padula Pezzula, 96, of Albany, passed away on Saturday, January 10, 2015 at Our Lady of Mercy Life Center, Guilderland. Bessie was born in Albany, the daughter of the late Bartolomeo and Leonarda Matera Padula. She was employed as a supervisor by the New York State Office of General Services at the Alfred E. Smith building for many years, and was a communicant of All Saints Catholic Church and the former St. Margaret Mary’s Church. Bessie was a devoted fan of the New York Yankees and used to love listening to Phil (Scooter) Rizzuto’s broadcasts of their games. Her true passion in life however, was being a homemaker and caring for her family. She was a mother to many, and a friend to all. Her caring and giving ways touched the hearts of all she encountered. She loved to cook, and was known and loved as a great cook, especially for her meatballs. After cooking a fine meal, she would often say “it wasn’t the usual,” but it was delicious nevertheless. Bessie was predeceased by her husband Anthony Pezzula in 2001. She is survived by her sons Carmine Pezzula of Niskayuna, William Pezzula and his wife Virginia of Colonie, Anthony Pezzula and his wife Valerie of Colonie and Michael Pezzula of Altamont; her six grandchildren Sheri Sablich (Dr. DJ) of Gansevoort, Michael Pezzula (Melanie) of Huntsville, AL, Melissa Dawes (Robert) of Sand Lake, Matthew Pezzula of Guilderland, Mark Pezzula (Michele) of East Greenbush, and Joseph Pezzula of Los Angeles, CA; her six great grandchildren Vincent and Maria Sablich, Cecilia Pezzula, Parker and Piper Dawes, and Aiden Cohen; her sisters Margaret E. McCarg (George) and Josephine Maio (Anthony) of Albany; her sister in law Marion Pezzulo; and by many nieces, nephews, and grand nieces and nephews. Mrs. Pezzula was predeceased by her daughter in law Mary Beth Wilson Pezzula, her brothers Charles, Rocco, and Leonard Padula; and her sisters Antoinette Hein, Angie Smith, Anna Lawler, Lena Pioggia, and Mary Alden. Funeral services will be held in the Hans Funeral Home, 1088 Western Ave., Albany, Wednesday morning at 8:15, and from there to All Saints Catholic Church, Homestead St., Albany at 9:00am. Relatives and friends are invited, and may call at the funeral home Tuesday from 4-8 p.m. Interment will be in St. Agnes Cemetery, Menands. The family suggests memorial contributions to the Center for Disability Services, 314 South Manning Blvd, Albany, NY 12208. To leave a message of condolence for the family or obtain directions to the funeral home, please visit www.HansFuneralHome.com. Click here to view Bessie’s resting place in St. Agnes Cemetery, Menands, New York (Zip Code Albany, NY 12204). 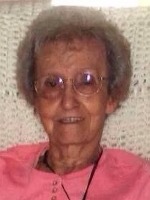 Aunt Bessie will be missed, she was an amazing woman with a quiet strength and confidence that we all counted on. I remember many holidays at her house when we would sing and dance as Uncle Tony would play the piano. She was the matriarch of our family and may of us felt her love more as a grandmother. She remained beautiful over the years and I always thought she would love forever. To her boys and their families, I am sorry for your loss. Losing a Mom is something very different than any other loss. I will be with you all in spirit as I am in Florida right now. Hugs to you all especially my Godfather Carmen! Love you all. Bessie will be missed greatly by family and friends. May she rest in peace. Besides raising the wonderful sons you raised, I thank you for your part in raising myself and the other 4 Lancers. Thanks to the use of your home, your husband and your gentle ways, you so helped in the developement of not only good musicians but moral, caring young men. I thank you for your example, making the world a better place and giving me my best friend. Always kind , gentle and welcoming. Thank you for all of the laughs , talks , and memories. We will always love and miss you. To Bessie’s family – so sorry for your loss. My dad, Dan Matera, is a cousin to the Padula family. We would usually see all my Dad’s cousins at weddings/anniversaries and Bessie was always there. My thoughts and prayers to all of you at this sad time. Aunt Bessie – what a loss for all of us but what a gain for heaven. Now she is with all the family. What wonderful memories of all the great visits to Albany. Our Moms are together again. All our love. The family has clearly lost a precious member. But, the Lord is near to the brokenhearted and saves the battered-down in spirit. He will swallow up death forever; and the Lord will wipe away tears from off all faces. I have been blessed for almost 50 years to experience the love of the entire Pezzula family. Sincere condolence and love from me, Monia, Dan & Ana. I’m so sorry to hear about bessie!!!! I couldn’t make the wake cuz I had such a headache. I loved her so much!!! My aunt Terri also offers condolences! We both thought she was thr best. I have such nive memories of growing up across the street. A truly wonderful woman. It’s been almost a year and I miss you more than ever, grandma. I still drive by your house – my favorite place – sometimes, hoping that maybe somehow I can turn back time and have dinner with you one more time. Christmas won’t be the same without you this year. But I know you’re celebrating in a better place. Say hi to grandpa for me.